"Food was excellent for the type of hotel." 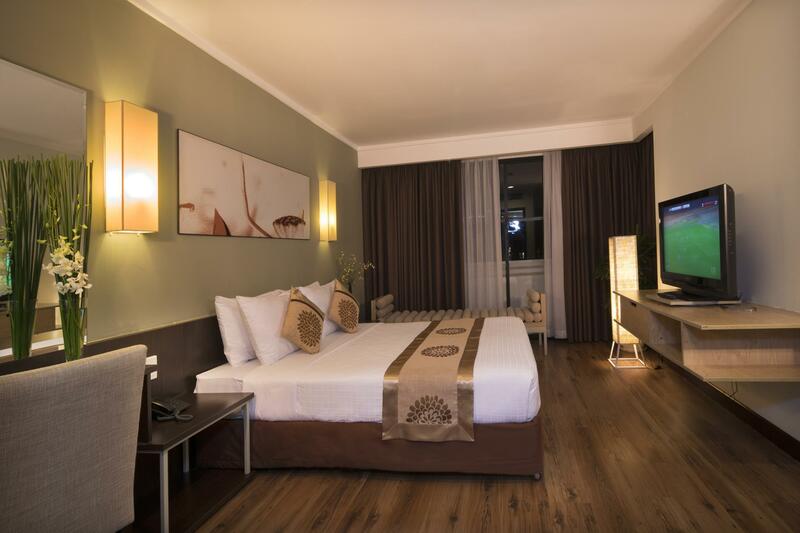 Have a question for Vien Dong Hotel? "The location is near pha ngu lao, the breakfast is nice." "Neverthless its location was very good for my family's trip." "A very good hotel & very clean." 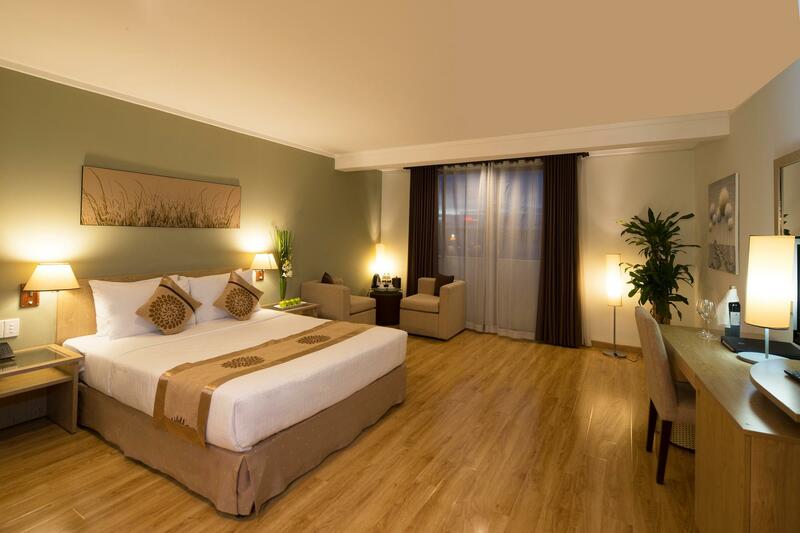 Whether on holiday or a business trip, this hotel is ideally located amongst shops, restaurants, and bars. All the rooms of this recently renovated place are spacious and clean with a restaurant offering European and Asian cuisine. 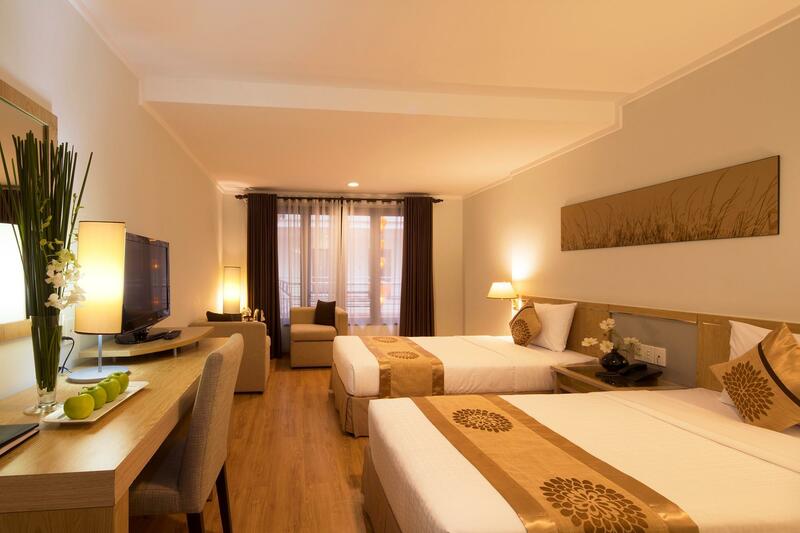 The hotel itself is in the center of a commercial district and within walking distance of the major downtown Saigon sights. Guests can walk through the park in front of the hotel to see the Cathedral, Ben Thanh Market, the Opera House, and many other interesting sights. The walk is very comfortable and easy to many restaurants just around the corner as well as small souvenir shops that line the street of Vien Dong Hotel. "Good location close to many travel agencies and good restaur..."
The property requires a refundable security deposit of VND 500,000 upon check-in. Great place, nice and clean rooms. Good location in old quarter. Front desk took care of any need I had. Held my bags while I went to ha long bay and arranged transportation for me for my trip to Ninh Binh. Great place to stay! Location is very convenient. For those who scare eating local food, opposite the hotel already have a heartland mall with food court type restaurant selling international cuisine. The shopping there is cheap too comparable to bkk. Very friendly staff. Only complaint I have, which wasn’t too big of a deal, is that the walls are pretty thin. You can hear everything. Me being on the 6th floor blocked out a lot of sound from the bottom floor but it’s still loud. Overall, for the price, I wouldn’t complain. The staff was super helpful in everything I need. Also the breakfast was okay, but large selection. Great location as well. Everything was good. I stayed in the executive suite. Very roomy. It had balconies overlooking the park. That was nice Only downside was a bit noisy. Windows weren't double glazed. Street sounds - honking traffic not blocked much at all. Didn't bother me, but it is noticeable and may bother some. My room was adequate in size,but the carpet & furniture had stains which should be atteneded to.Other rooms the same.The sink plug didn't hold water which seems to be common in Vietnam.I would like to see bread rolls at breakfast(baguette & white sliced bread available)The self service hot food should be hot!Food containers not heated.Food should be replenished regularly-not happening in last 30 minutes before breakfast finishes. 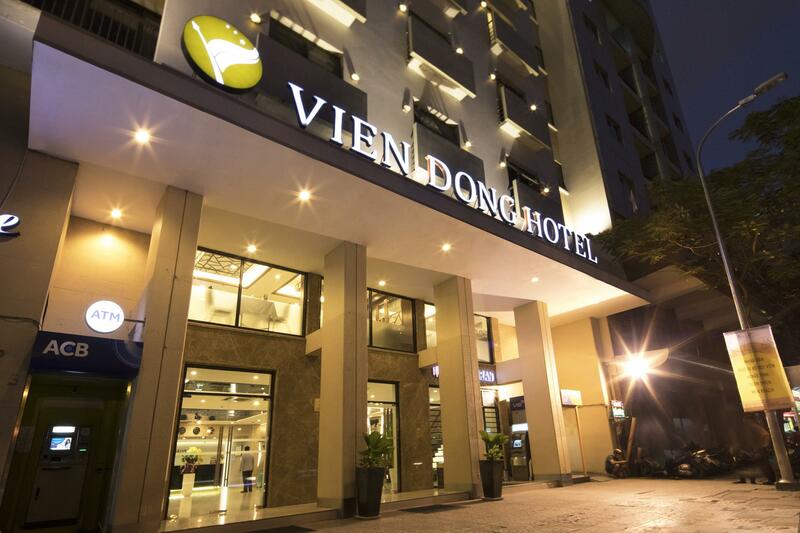 We enjoyed our stay at the Vien Dong. We stayed in a deluxe room which was spacious and had an external window. We noticed that the cheaper rooms were round an atrium and had no daylight whatsoever. They also seemed to be very small. I would strongly advise booking the deluxe room or better. We had requested a park view room but were given a room at the rear of the hotel. The view was of dilapidated shacks but was quiet with no traffic noise unlike the rooms at the front, so we did not object. The staff at the Vien Dong were very helpful, spotting our taxi from across the road and rushing to help with our luggage. Breakfast was very good. Be sure to try the Vietnamese tea. This hotel is very good.very clean and a very good location,however I had upgraded to a deluxe room,but I feel that this was not good enough to be classed as such .No view only window looked on to the inner corridors.the room was also small.breakfast had a good quality choice of items.check in and out good ,fast and efficient. The place is located right on Pham Ngu Lao street. Most of the places are walking distance. Buses to any distanations leave from meters away from the hotel. The room was small, but very comfortable and clean, with a nice bathroom. Comfortable bed, which was perfect after a tiring day. Great buffet breakfast with plenty of options. We haven't stayed in other places in the same price range in HCM, but I think Vien Dong is a very good value. Hotel is located in central Distric 1 area with the backpacker 'BAR STREET' just a 5 mins walk away.. lots of f&b around the area..hotel is clean as most of the rooms are newly renovated..staff's english not perferct but good enough to assist..bear in mind as it is a State Owned hotel, they dun allow local to stay overnight..overall not a bad stay for the kind of price..will recommend for those looking for a short stay with no expectation..
Poor customer service from receptionist & also most of the staffs there. Hardly smile. They were reluctant even help out the smallest request we asked for. And even if they do, they will sulk and throw a super long face. I def wont recommend this hotel to any of my friends. Breakfast is so so. Non halal fyi. The only plus point was, they allow us to pack breakfast on the last day cause our flt was early in the morning. Dirty bathtubs. Dirty toilet. Dirty bed linen. Dirty chair. Stains everywhere. Im def not returning back to this hotel. Good location close to many travel agencies and good restaurants. Buy room for 2, but in the end, not allowed another to stay same room.. ask us to buy 1 more room..